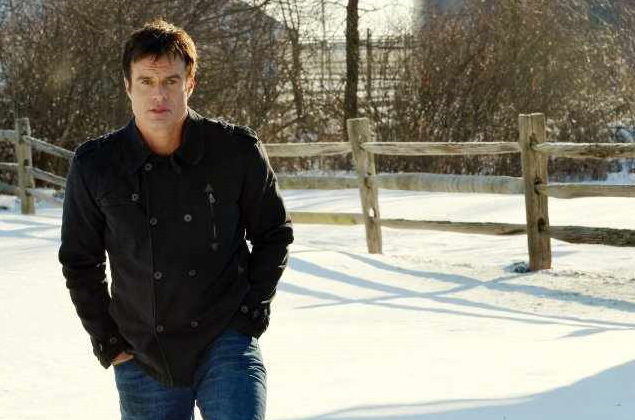 Christmas Comes to the Hallmark Movie Channel, too! and Something from 5th Avenue! Again this year, the Hallmark Movie Channel will be airing many Hallmark Christmas Movies and "Something New" - their new film, "Christmas with Tucker" on November 25th. This is a prequel to the Hallmark Hall of Fame Movie, "A Dog Named Christmas." 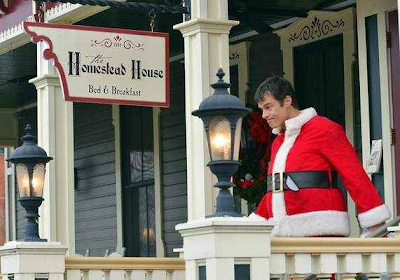 Along with this new movie, the Hallmark Movie Channel will air Classic Christmas Film Favorites: "Holiday Affair," "Christmas in Connecticut," "The Bishop's Wife," "Babes in Toyland," and as I alluded to before, "It Happened on 5th Avenue." 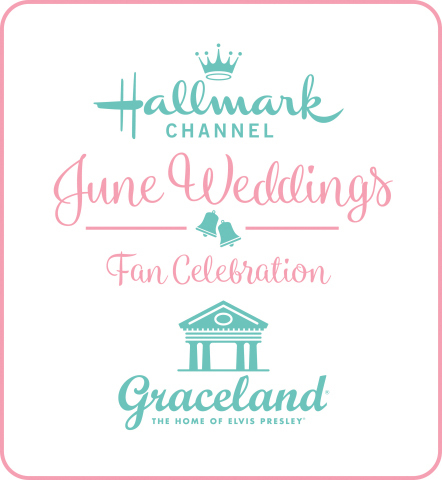 Please Note: the Hallmark Movie Channel is referred to as HMC in the Christmas Schedule, to prevent any confusion with the regular Hallmark Channel. You can see the air dates for these movies and more, listed on the Christmas TV Schedule. This is an archive of the Schedule from September 2013 for your reference. 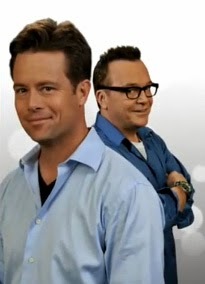 Visit the Family TV Schedule or the Christmas TV Schedule for updated Movie News. This was an archive of the Schedule from September 2013 for your reference. 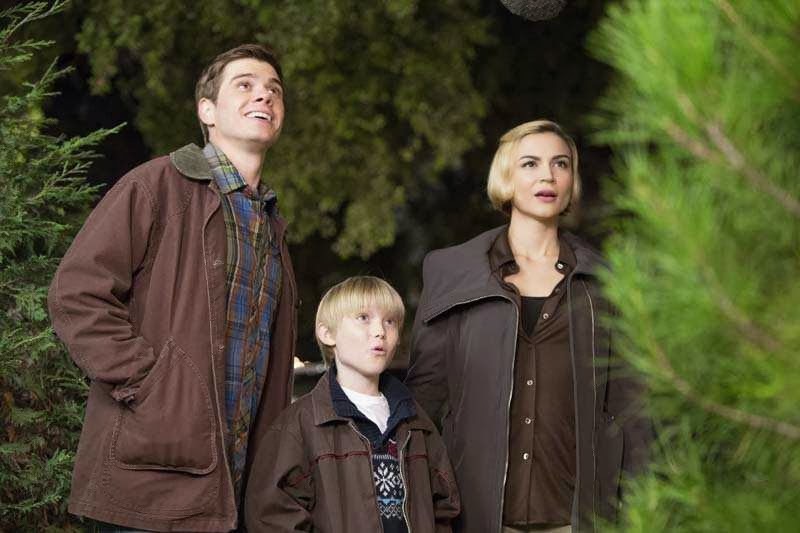 Visit the Family TV Schedule and the Christmas TV Schedule for updated Movie News. 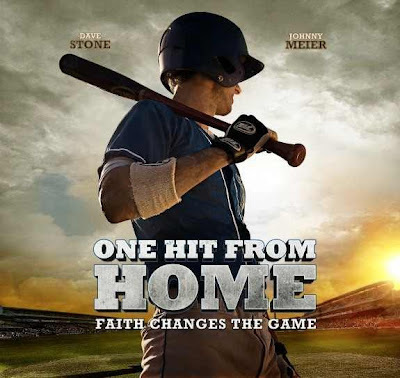 *Please Note: this faith based film is recommended for ages 12 & up. let me know if you think it is a "hit" or "miss". It's beginning to look a lot like Christmas!!! 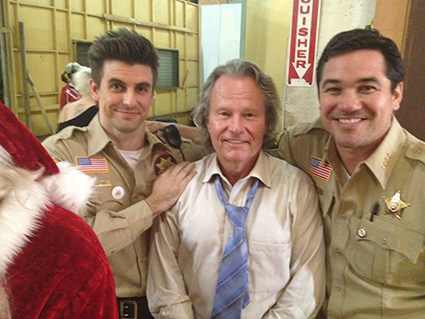 Greetings, Christmas Movie Friends and Fans!!! for the 2013 Christmas Season! I feel just like the first snowflake has fallen! Please know, this is just the beginning! There will be many more Christmas Movies added in and perhaps, some changes, too, along the way, but I thought you would all enjoy the beginning of many Wonderful Christmas Movies to come! Click Here for the 2013 Christmas Movie TV Schedule! 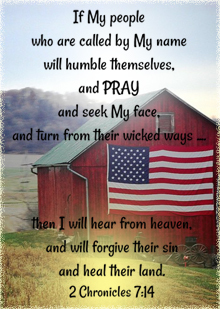 and "God Bless Us, Everyone!" 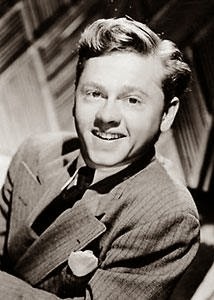 Born on September 23rd, 1920! it's a wonderful occasion to celebrate! We wish you a very Happy Birthday!!! The Most and Best to You! 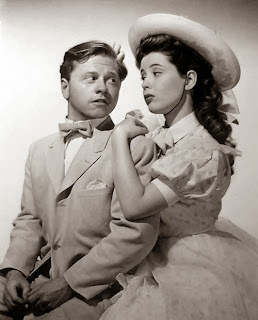 God Bless You, Mickey Rooney!May you have a very Happy Birthday! New Movie this Weekend on UP + a Christmas Movie Favorite Double Feature on ABC Family! Please Note: This Faith Based Movie is PG-13. 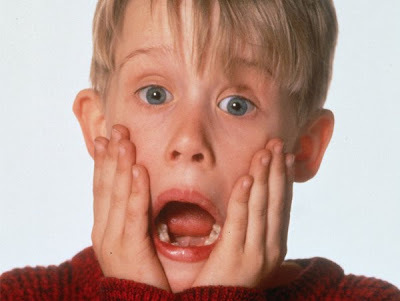 Home Alone 2: Lost in New York at 4 PM! There's only 3 months until Christmas Now! Have a Wonderful Weekend, Everyone!!! 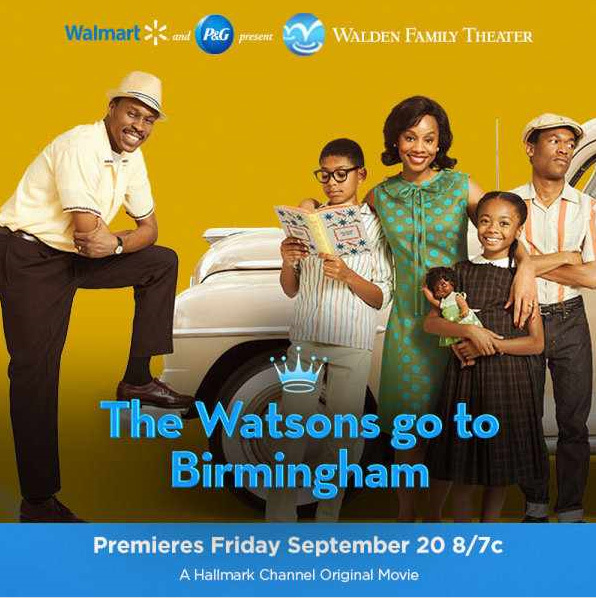 In honor of the 50th anniversary of pivotal events in the Civil Rights movement, the Hallmark Channel is proud to present "The Watsons Go To Birmingham," a Hallmark Channel Original Movie World Premiere on Friday September 20th at 8 PM est. The film follows an all American family on their road trip from Flint, Michigan to Birmingham, Alabama in 1963 and their historic summer experiences give them a newfound courage to stand up for what is right and helps them grow stronger as a family in the process. 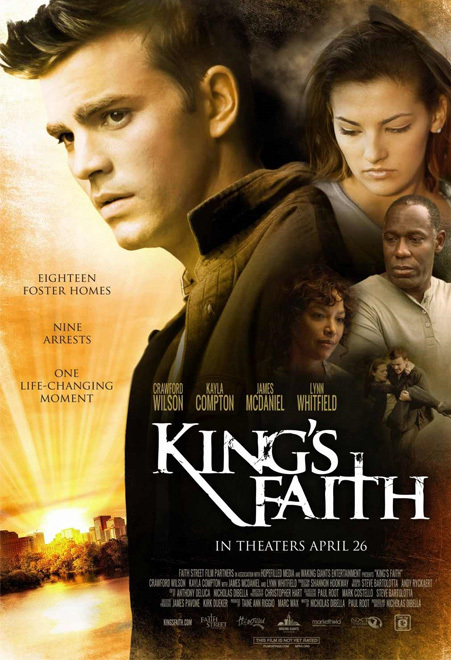 (via Hallmark Press Release) Based on book by Christopher Paul Curtis. 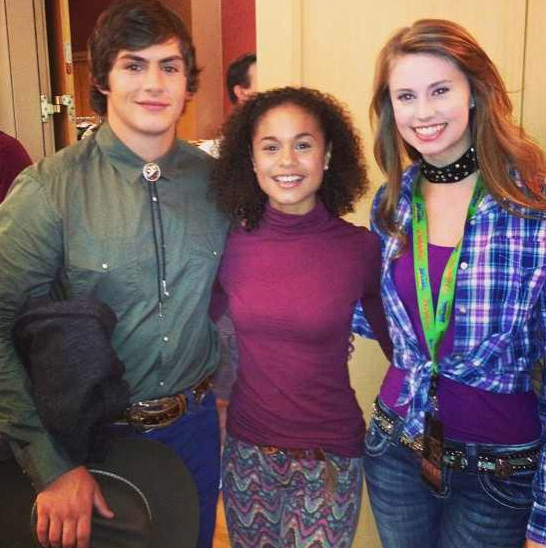 Plus, as you watch... you and your children will recognize Skai Jackson, from the Disney Channel Sitcom, "Jessie", as Joetta Watson. *See the The Watsons Go To Birmingham page for more movie details and the Family TV Schedule for times airing. 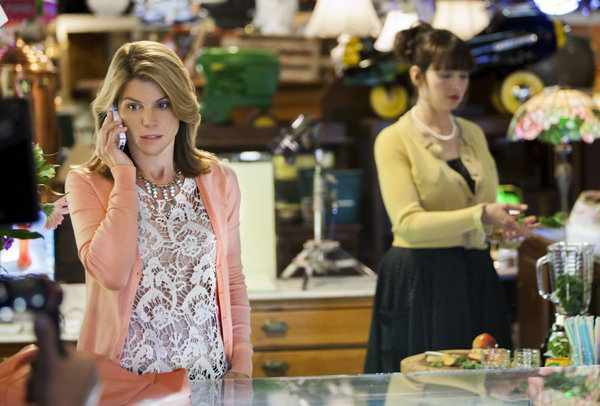 I appreciate everyone who responded to let me know how much you enjoyed the newest Hallmark Channel Movie "Garage Sale Mystery" starring Lori Loughlin (Aunt Becky, from "Full House")! There will be a repeat airing of "Garage Sale Mystery" tonight, Wednesday, Sept. 18th at 8 PM est and again on Saturday, Sept 21st at 6 PM est on the Hallmark Channel. 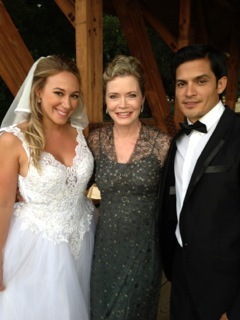 Please Note: This Hallmark Channel Movie has a TV Rating of TV-PG. It is a Murder Mystery Movie; and therefore, not a film for young children. If you are watching this for the first time - see if you can guess whodunnit??? One by one, since July, I have been adding in the new and upcoming Christmas Movies for 2013; however today, since it is officially 100 DAYS until Christmas... 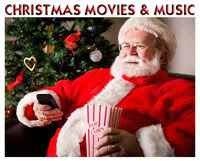 I will be sharing Seven, yes SEVEN, ALL NEW Christmas Movies coming to our TV's this 2013 Christmas Season. Five of these new Christmas Movies are from the cable channel ION and one each, from Lifetime and the Hallmark Channel. 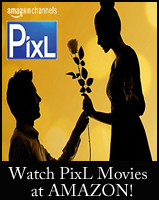 Visit the Christmas Movies on TV Page for even more Christmas Movies airing on TV this Christmas Season! 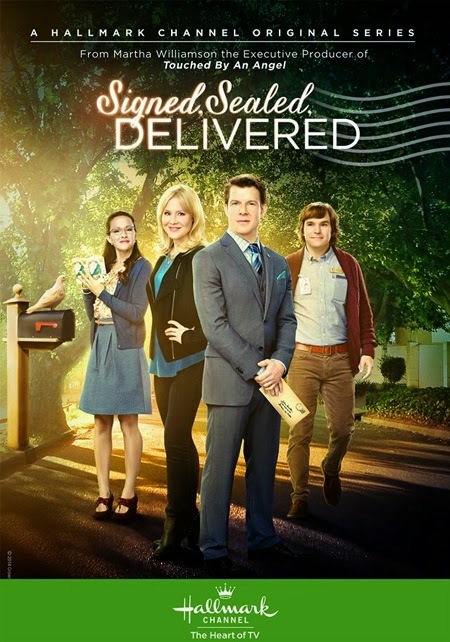 What you'll find: 12 Movies from the Hallmark Channel, a new Hallmark Hall of Fame, a movie from the Hallmark Movie Channel, plus an all new Cedar Cove Christmas Special... and that's just from Hallmark! There's even more Christmas Movies from UP, Lifetime, and of course ABC Family for their 25 Days of Christmas! Merry Christmas... 100 Days and Counting!!! Cooper Barnes, John Savage, and Dean Cain on the set of "Defending Santa"
Dean Cain stars as a ski-resort sheriff who inadvertently arrests a sleeping Santa in the snowy woods on suspicion of a crime he did not commit. 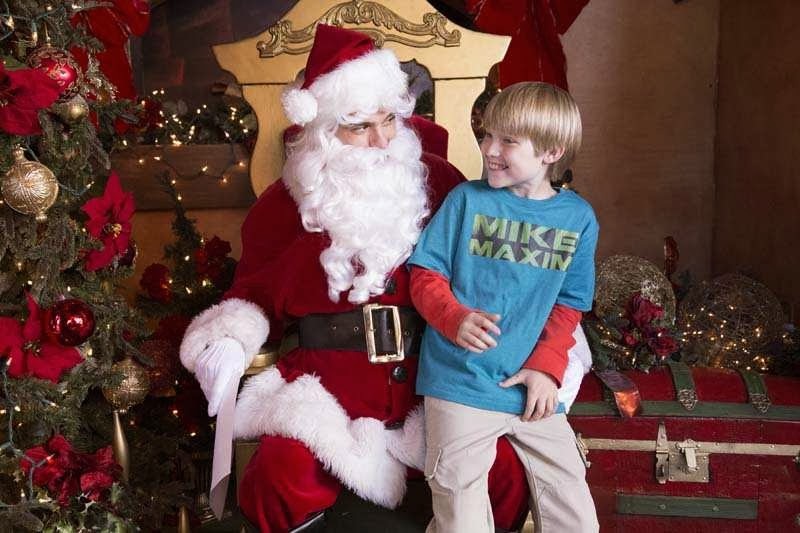 With his sleigh ride now in doubt, Santa is put on trial. 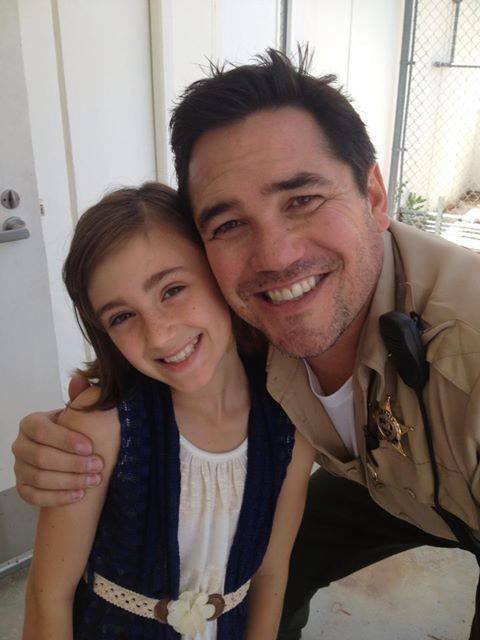 But, during the proceedings, Sheriff Hanson, also a dad and widower, begins to fall for Santa’s court-appointed defense attorney, Sarah. While responding to the report of a broken down vehicle on Christmas Eve, Scott Hanson, a ski resort town sheriff, stumbles upon a sleeping Santa in the snowy woods. 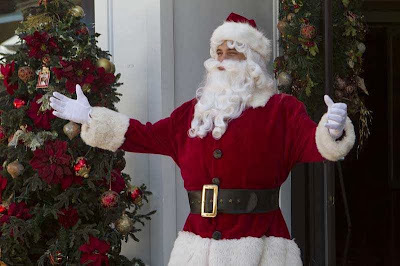 With his sleigh ride in doubt after spending nearly a year in a coma, Santa is put on trial to defend his identity. 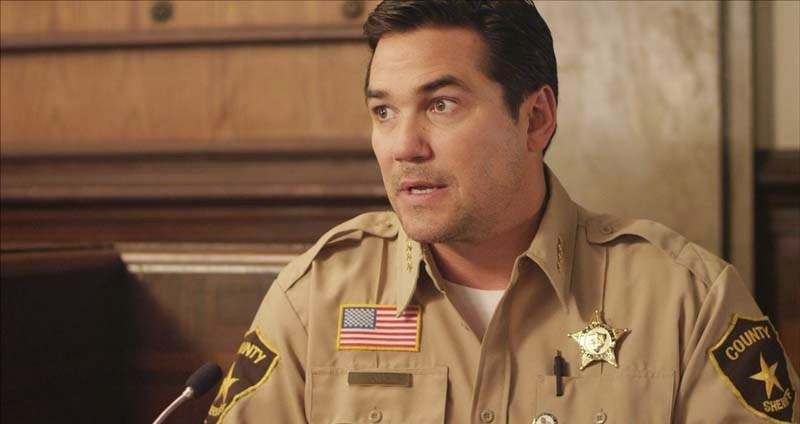 As the small town learns to “believe,” Sheriff Hanson, a dad and widower, also begins to fall for Santa’s court-appointed defense attorney, Sarah. A young, single mother, Jen, begins to lose her faith in the magic of Christmas. However, when she takes her son Eric to see the local mall Santa, Jen immediately feels an attraction and connection with Chris, the young, attractive man filling the suit. As they begin spending time together, she begins to rediscover her belief in Christmas. Little does Jen know that Chris is the son and heir to the “real” Santa, and his mission is to find himself a Mrs. Claus. As the two fall for one another, Chris faces his inevitable return to the North Pole. Maya, a recently heartbroken pet supply employee, couldn’t have any less in common with her co-worker, Pat, who happens to be the company founder’s son. But, tasked with traveling across the country on a Christmastime social media tour for the company’s leading canine and most-prized possession, Scoots, fate finds a funny way to intervene. In their race against the clock, the two begin to fall for one another. Unbeknownst to Maya, though, her remorseful ex-boyfriend is in close pursuit, hoping he can win her back. With her California hometown in the rearview mirror, Belle heads north on business to catalog the sale of a large mansion. While the job is a dream, the client, Hunter Lowell, is not. But, as the two spend more time together, his icy demeanor begins to melt. Although their relationship is budding, Belle’s long-time suitor, Tony, arrives, sending mixed signals to Hunter while adding chaos to the holiday season. After being told by her boss that she must listen more attentively to others and put the group first, Elizabeth, a skilled executive, meets one of Santa’s helpers, who blesses her with an extraordinary gift. Through the magic of a Christmas pin, Elizabeth can listen to every unspoken thought of anyone she encounters. With her new-found power, she attempts to be a better person, turning an office rivalry into romance while learning the true meaning of Christmas. 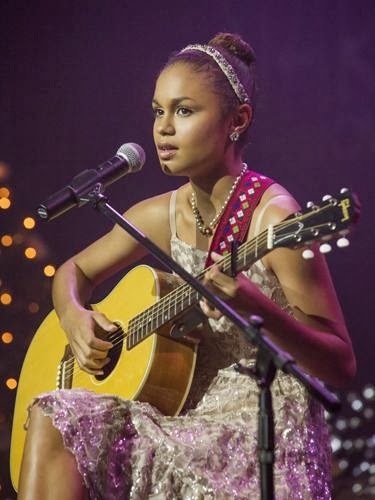 A Country Christmas Story tells the story of Grace, an aspiring young singer who wants to go to Nashville to make it big. 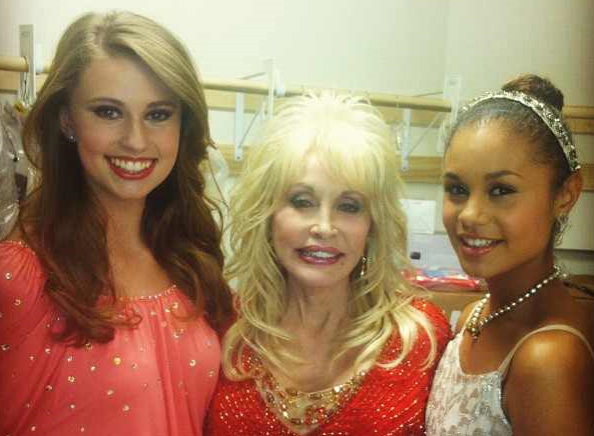 Will she make her dreams come true in Dollywood? 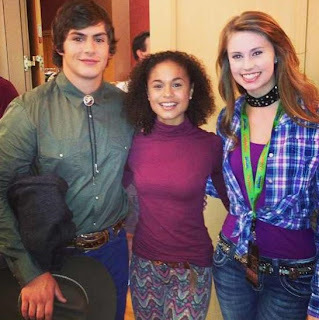 The film follows a young Appalachian mountain girl (newcomer Desiree Ross) as she pursues her dream of becoming a country star against the wishes of her mother (Megyn Price). Her journey to the stage at Dollywood with a singing competition hosted by Dolly Parton reunites her with her musician father (Brian McKnight) and uncovers the musical legacy of African Americans in the world of country music. 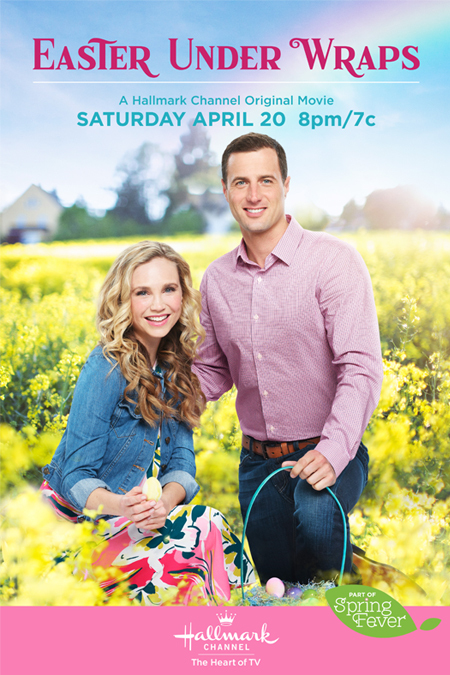 Easter Under Wraps 🐤 - a Hallmark Channel "Spring Fever" Holiday Themed Movie starring Fiona Gubelmann & Brendan Penny!